Daniel J. Kornstein is a senior partner at the law firm of Kornstein Veisz Wexler & Pollard, LLP, in New York City. He earned his law degree from Yale Law School in 1973 and has served as the president of the Law and Humanities Institute. He has authored several books including Loose Sallies, Something Else: More Shakespeare and the Law, Unlikely Muse, Kill All the Lawyers? Shakespeare’s Legal Appeal, Thinking under Fire, and The Music of the Laws. 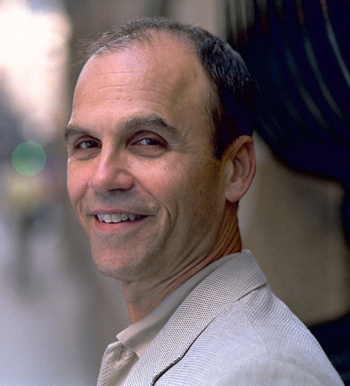 His writing has appeared in The New York Times, Wall Street Journal, Chicago Tribune, Baltimore Sun, and the Boston Globe. 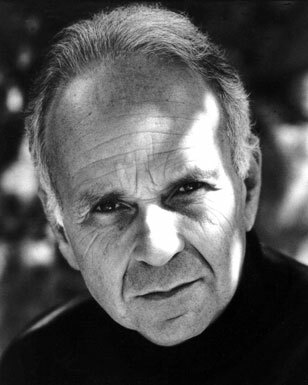 In 2002, Dan received the Prix du Palais Littéraire from the Law and Literature Society of France. In 2013, King Michael of Romania awarded him the Order of the Crown of Romania. AM: Thanks for taking the time to discuss your new book with me, Dan. The name of the book is Loose Sallies, and as you state in your introduction, it’s not about fast women named Sally. For those who haven’t read the introduction or purchased the book yet, could you begin by discussing the book generally and say something in particular about your chosen genre: the essay. DJK: Thank you, Allen, for this opportunity. Those of us who occasionally write are, as you know from your own experience, always delighted to have a chance to explain a bit about how and why we scribble. 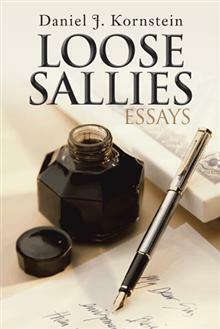 Loose Sallies is a collection of essays written over the past 25 years mostly about topics of general interest. The first 75 pages is about the drafting of the U.S. Constitution in 1787 and why that remarkable process and its end result are still so important to us today. The rest of the book ranges over a wide variety of topics, from our precious civil liberties to profiles of some famous judges and lawyers to current controversies. It should, I hope, appeal to everyone. AM: Phillip Lopate has said that the essay is a “diverting” type of literature and that its hallmark is intimacy. You call the essay “intimate, informal and reflective, as if you are sitting at home in your living room or dining room and having a pleasant, sometimes provocative, sometimes stimulating, but always, one hopes, insightful and enlightening conversation.” I agree. The essay is my favorite genre because it’s the genre of the person. You can’t know a person until you’ve met the persona he creates in his essays—and if you don’t write essays, you may not know yourself. Who are your favorite essayists, and what is it about their essays that you find compelling? DJK: My favorite essayists are the obvious ones: Montaigne, Francis Bacon, Addison & Steele, Hazlitt, Lamb, Orwell, Mencken, Macaulay, Emerson, V.S. Pitchett, E.B. White, Lewis Thomas, George Will, Virginia Woolf, Edmund Wilson, and Joseph Wood Krutch. My favorite living essayists are Lopate and Joseph Epstein, the former editor of The American Scholar magazine. All these writers make their essays compelling by their clarity of thought and uniqueness of expression and their ability to communicate original, stimulating ideas, making us see familiar things in a new light. Epstein, for example, can write on literary personalities as well as personal topics we all think we know about but do not really. Everyone in my pantheon of great essayists is a superb writer with a distinctive and memorable style. AM: I recently interviewed James Elkins, a law professor at West Virginia University, here on this site, and he talked about lawyer poets and said that “our iconic images of lawyer and of poet are put to the test when we think about one person writing poems and practicing law.” You have something to say about this seeming double life. “Writing,” you say, is “part of my double life. I have a life other than the lawyer’s life I lead on the surface. The two sides—law and writing—reinforce and complement each other.” I’ve heard the phrase “the two worlds” problem used to describe the lawyer who is also a writer. But this doesn’t seem to be a problem for you, does it? DJK: A lawyer IS a writer. Writing is most of what a lawyer does. To be a good lawyer, one needs to be a good writer. Verbal facility, sensibility to language, and lucid thinking are prerequisites for both. A legal brief and a piece of expository writing have much in common. Both have a point to make to persuade the reader. Both rely on effectively marshaling evidence to demonstrate the correctness of a particular perspective. The topics may differ, but the skill and technique are similar. The problem facing the lawyer-writer is more one of time and energy and desire than anything else. Law is a demanding profession, which means taking time off to do anything else cuts into one’s otherwise free moments. But if you want to write, you make the time. AM: I’m curious, when did your love of literature begin? Did you have an “aha!” moment, or did the love evolve over time? DJK: I cannot recall ever not loving literature. My paternal grandfather was a printer at Scribner’s and when I was a little boy he gave me four books by Robert Louis Stevenson that my grandfather had himself set in type in 1907. I gave Treasure Island to my son and Kidnapped to my daughter, and still have the other precious two volumes on my shelves. I remember my father taking me as a youngster to the Public Library at Fifth Avenue and 42nd Street to get my first library card. In those days, the main building had a circulation department, and my father’s choice for my first library book was, of course, Tom Sawyer, a good choice for a ten-year old boy. I remember as a teenager reading as much as I could in addition to books assigned in school. There were nights spent, in classic fashion, with a flashlight under the covers after bed time. AM: You’ve written a lot on Shakespeare. How did your fascination with him come about? DJK: Like most people, I first met Shakespeare in high school English classes. Luckily for me, around the same time New York had a summer program of free Shakespeare in Central Park, which continues to this day. Starting in the summer of my junior year in high school — 1963 — I began to see two of Shakespeare’s plays every summer. It was at one of those performances — Measure for Measure in 1985 — that the passion grabbed me. I was 37 years old and had been practicing law for 12 years. As I sat watching Measure for Measure, I realized for the first time how much the play was about law, and that recognition — the “fascination” you refer to — set me off on a project that would last years. First, I wrote a short essay about Measure for Measure for the New York Law Journal, our daily legal newspaper. Then, months later, I saw a production of The Merchant of Venice and wrote another essay. From there, one thing led to another, and before long, I had the makings of a book. I reread the plays I had read as a student and read many others for the first time. Then I read as much as I could find about Shakespeare and the law. The result was my 1994 book called Kill All The Lawyers? Shakespeare’s Legal Appeal. I am still fascinated by Shakespeare. 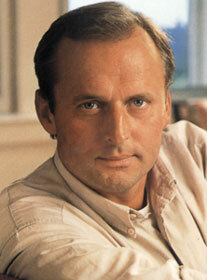 Each time I read or see one of his great plays, I get something new out of it. AM: Many essays in Loose Sallies concern politics, law, government, and current events. You discuss the Founders, Holmes, Bill Clinton, Hugo Black, Steve Jobs, Ayn Rand—all sorts of people and even some decisions of the U.S. Supreme Court. You manage to do so without coming across as overtly political, polemical, or tendentious. How and why? DJK: It is a question of style and goal. Every one of the essays has a thesis, some of which may even be controversial. The idea is to persuade your reader to accept your thesis, and that requires care and sensitivity, logic and demonstration, not name-calling or verbal table-pounding. If I am “overtly political, polemical or tendentious,” I will probably not convince anyone who does not already agree with me. A writer has to be smoother and subtler. We live in a country right now riven by political and cultural partisanship. Public controversy today between “red” and “blue” is almost always shrill. A reader tires of it; it becomes almost an assault on our sensibilities. To reach people’s hearts and minds, you have to credit both sides of an issue but explain patiently and show convincingly why you think one side is more correct than another. I am not running for public office so I have no “base” to appeal to. But I can at least try to keep the tone of the debates I engage in civil and pleasant. AM: Do you consider the essays on these topics literary essays? DJK:Most of the essays in Loose Sallies are not about so-called “literary” topics. True, one is about the literary style of Supreme Court opinions, and two discuss Justice Holmes’s opinion-writing style. But they are exceptions. So I do not think the essays for the most part are “literary” in that narrow sense. Nor do I think they are “literary” by way of being precious or mannered. I genuinely hope, however, that they are “literary” in the sense of being clear, crisp, well-written statements on a variety of topics of interest to all Americans today. AM: Thank you for taking the time to do this interview. Loose Sallies has been enjoyable for me. I keep it on my desk in the office so that, when I need a ten-minute break, I can open it and read an essay. I slowly made my way through the entire book in this manner: a break here, a break there, and then, one day, I was finished. I really appreciate all that you have done not just for the law, but for arts and literature. It’s nice to know there are lawyers out there like you. Cool, can you link from The Mendenhall too? I surprise how so much effort you put to make the sort of excellent informative site.